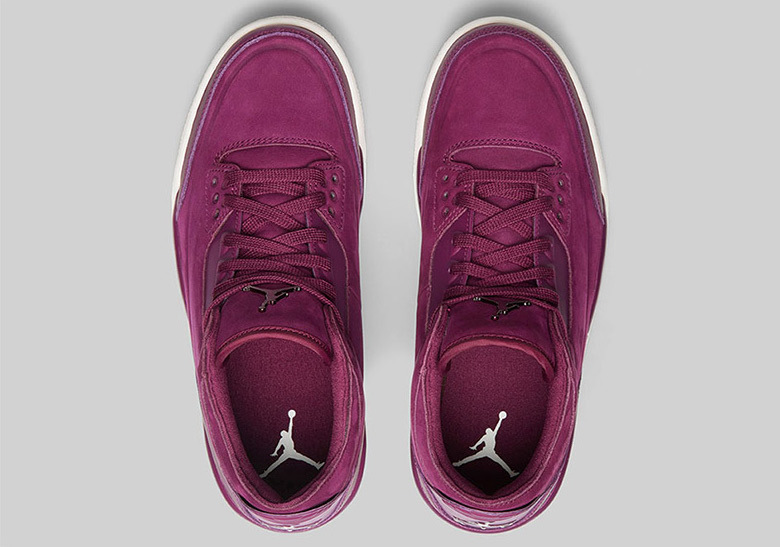 Covered in full Bordeaux nubuck for its upper with tonal metallic and leather accents, other details include Jumpman branding on the tongue and heel area. Finally, offsetting the clean style is a sail midsole and rubber outsole to top it all off. 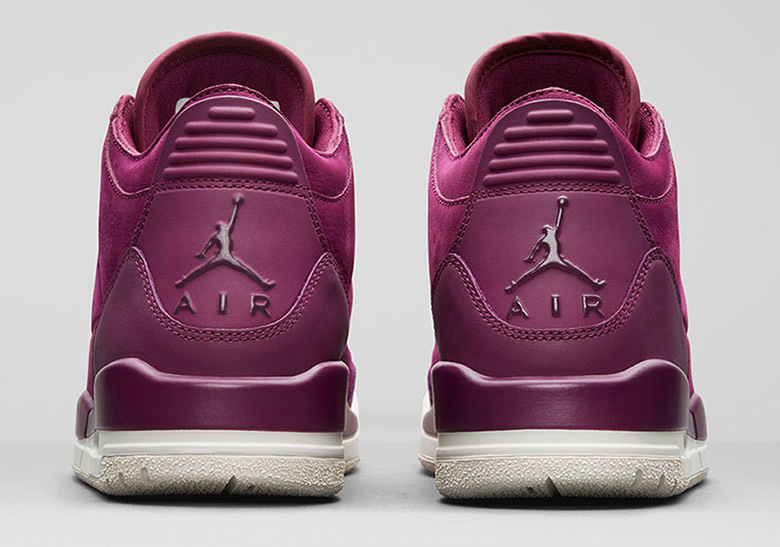 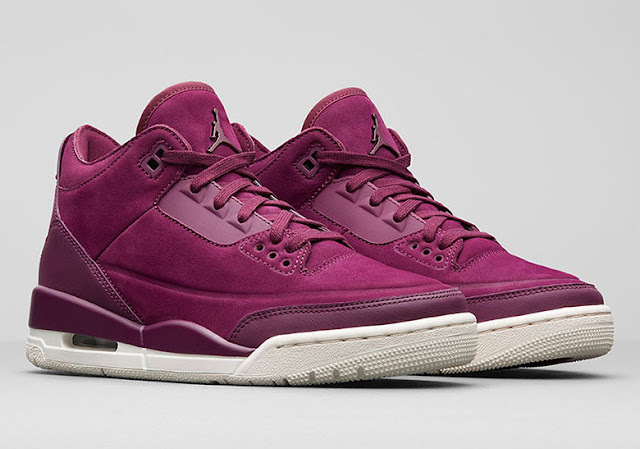 The Nike WMNS Air Jordan 3 Retro ‘Bordeaux’ is available at selected retailers.